Win tickets to Tour de Tanks! 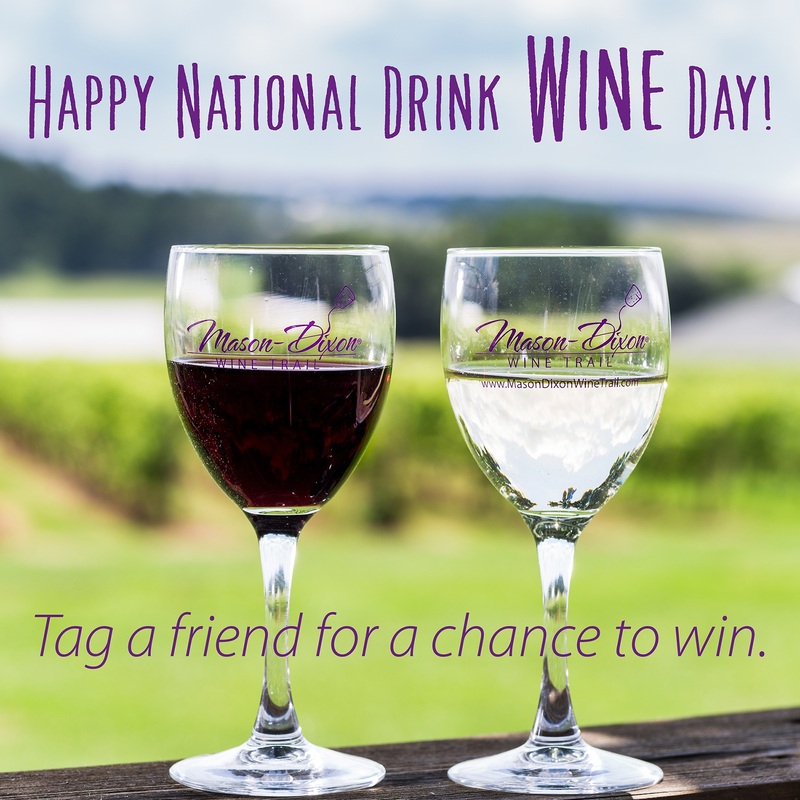 Happy National Drink Wine Day! Celebrate by entering to win tickets to Tour de Tanks! This Saturday is National Drink Wine Day, and we&apos;re celebrating with another Tour de Tanks giveaway! We&apos;re giving away two tickets to the 2017 Tour de Tanks signature event, coming up weekends March 4-26 on the Mason-Dixon Wine Trail. Go behind-the-scenes to learn how your favorite wine goes from glass to grape and enjoy exclusive tank or barrel tastings and other educational presentations as you explore 17 wineries across two states. To enter to win the tickets, all you have to do to is check out our Explore York PA Instagram page, and tag a friend in a comment on our giveaway post. The contest starts at 10 a.m. Saturday, February 18, and closes at 10 a.m. Monday, February 20. Make sure you check out Instagram on Saturday morning to enter. In the meantime, make sure to check out our Official Rules found below. Comment on the post about the prize and tag a friend in your comment. You must tag a friend in your comment to be entered. PROMOTION ORGANIZER: This campaign is being held by the York County Convention & Visitors Bureau (YCCVB), the Official Tourism Promotion Agency for York County, Pennsylvania. ENTRY: No purchase necessary to enter or win. Contestants will enter by tagging a friend withing a comment on Explore York PA&apos;s post regarding the giveaway. All entries will be entered into the competition. No responsibility can be accepted for entries not received for whatever reason. DURATION: The contest opens at 10 a.m. EST February 18, 2017, and closes at 10 a.m. February 20, 2017. ELIGIBILITY: This contest is open only to legal U.S. residents, over the age of 21. Employees of the York County Convention & Visitors Bureau (along with its volunteers and board members) and their families are not eligible. Void where prohibited by law. Contestants residing in those areas where the contest is void may participate in the contest but may not win any prizes. Participants are limited to one entry per social media account. WINNER SELECTION: Winners will be selected for each post within five business days of the entry. The winner will be selected by a random drawing or by community vote under the supervision of the York County Convention & Visitors Bureau. All judge&apos;s decisions are final. PRIZES: The prize is two (2) tickets to the Mason-Dixon Wine Trail&apos;s Tour de Tanks Signature event, a total value of $60. Unless expressly noted, the prize does not include transportation, lodging or any and all other costs incurred by the winner. The promoter is not responsible for inaccurate prize details supplied to any entrant by any third party connected with this competition. No cash or other prize substitution shall be permitted except at the discretion of the York County Convention & Visitor Bureau. NOT ENDORSED BY INSTAGRAM: This promotion is in no way sponsored by, endorsed by, administered by or associated with Instagram. By participating in this contest, you release them from any and all liability arising from or related to this contest. The information you provide will be used for this competition only and will not be shared with any other party outside of the YCCVB and will not be used for other purposes in future dealings with the YCCVB. PHOTOS: By adding photos to the Facebook competition gallery you are granting permission for these images to be used by the York County Convention & Visitors Bureau on its website, www.YorkPa.org, and in other online and printed communications. By submitting your photo you understand and agree that the York County Convention & Visitors Bureau has no obligation to publish your photo. You must be the author/copywrite holder holder of all images submitted. WINNERS LIST: The names of the winner may be obtained by sending a self-addressed stamped envelope to: Tour de Tanks Giveaway, York County Convention & Visitors Bureau, 60 E. North St., York, PA 17401.